Football in Bangalore: Satish Kumar Jr. reporting from Mohun Bagan ground! 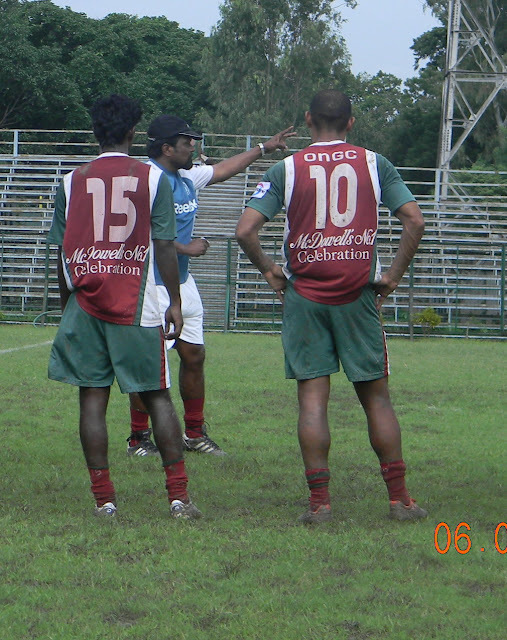 Satish Kumar Jr. reporting from Mohun Bagan ground! 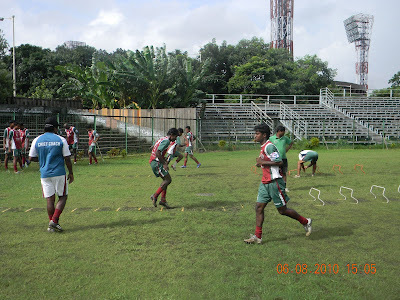 Excellent training facilities to say the least, this is the basic difference between HAL, Bangalore, where I spent my last 2 years and Mohun Bangan. Moreover, the ground conditions, the backup staffs, the huge fan base just makes things more exciting. 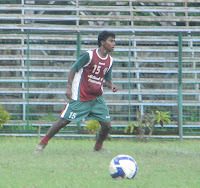 It has been splendid going so far, just getting geared for attending the pre-season camp at Siliguri, North Bengal. I’m damn excited! We’ll leave for Siliguri on Sunday, August 15. 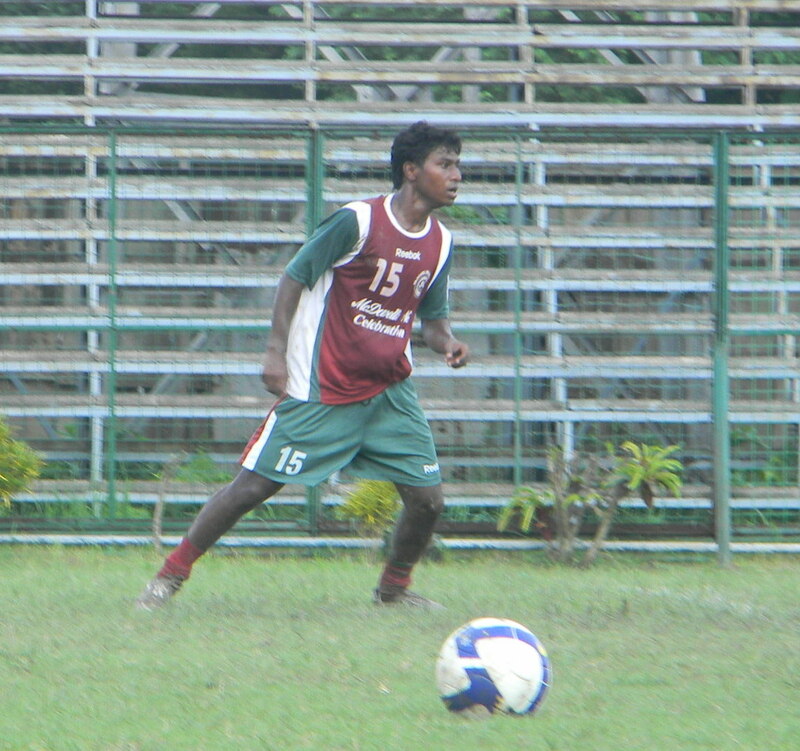 Satish jr. is staying in the Mohun Bagan mess at the busy Elliot road and shares the space between captain Ishfaq, Manish Maithani, and other newcomers Jacken Sebastian and Dhanrajan.